Ovation - Spain: the perfect getaway for this winter! If you thought summer was the only time to be in Spain, let us tell you that in winter is even more magical and mesmerizing. 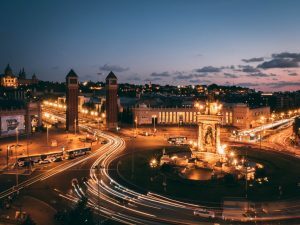 Spain is the perfect getaway for those who prefer warmer temperatures, unique cultural experiences, magnificent museums and delicious food-filled encounters. Scroll down and take a look some of the best places for your winter incentive trip! 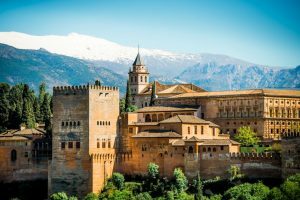 There’s nothing quite like sipping a hot cup of coffee, sitting in one of Granada’s atmospheric plazas, while admiring the snow-draped peaks above the Alhambra Palace. The city can get very cold during winter due to its closeness to some of Spain’s highest mountains, but we can assure you that is something to see once in a lifetime! Besides the temperature, the sky is often clear and the sun is frequently shinning, which makes it perfect to enjoy all the city attractions, such as the Cathedral, the Moorish Albaicin district, the flamenco caves and its proximity to the Sierra Nevada, home to one of the country’s best ski resorts. Winter is an ideal time to visit Madrid and experience its many cultural attractions and since some of its most important sights are indoors, you won’t get too cold either! 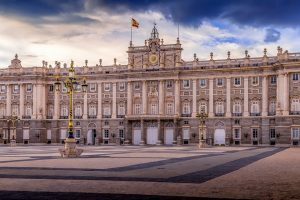 You can’t miss the city’s Golden Triangle – the famous art museums of the Reina Sofía, El Prado, The Thyssen-Bornemisza – and the opulent Royal Palace. The city also looks spectacular covered in Christmas lights and leads a fantastic party during New Year’s Eve at the Puerto del Sol. 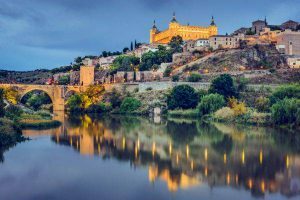 In the South of Madrid lies the historic UNESCO World Heritage town of Toledo, recognized for its history as a ‘City of Three Cultures’ – Islamic, Christian, and Jewish. Visit the variety of monuments that it has to offer, such as the Gothic cathedral, the Alcazar Palace-Fortress, the Synagog Transito with its Museo Sefardí and the museum of the artist El Greco, who lived and died in the city. Also, don’t forget to walk by one of the town’s cafes and enjoy the celebrated marzipan figurines. Packed with museums, art galleries, quirky shops, flamboyant architecture, flashy cocktail bars and innovative restaurants, this is a place where you’ll never get bored in winter. Check out its amazing Modernista masterpieces by the likes of Gaudí and Domènech I Montaner, visit the art museums of Picasso and Miró and get lost among the streets of the Barrio Gótico. You can’t miss its amazing New Year’s spectacle at the Plaça d’Espanya or its magical Three Kings parade on the night of January 5th. It is the warmest place in Spain during the winter season with temperatures averaging around 17°C. Lying off the coast of Africa, they have a sub-tropical climate, which makes it comfortable to be outdoors during this season. 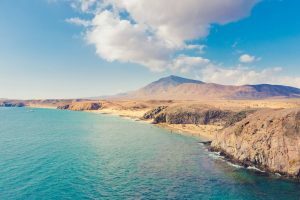 You will find plenty of exciting cities such as Las Palmas de Gran Canaria and numerous national parks like Tenerife’s Teide National Park. The island is also known for its excellent spa hotels.